Online roulette in the UK is one of the most popular games in the casinos just behind slot machines. However, many people are not just not sure how the game can be won so they often just ignore the fun and excitement of watching that spinning wheel and holding their breathe to see if the ball lands on their bet. 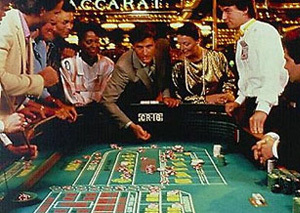 There are a few tips that may just help you win at roulette and give you the edge you need. You do need to understand a bit about the game or you will only be guessing instead of making calculated bets. There are three main methods when it comes to betting on roulette which are the Martingale, The Labouchere & Reverse Labouchere, and D’Alembert. In order to use the Martingale method you will need quite a bit of money as it is required for the player known as the punter to double their bet each and every time they lose until they win the bet. After the player wins the bet will go back to the original bet. The main problem is that you may start with a £20 bet but must double that bet each time you lose which could wind up into the thousands. The Labouchere and reverse Labouchere methods which are referred to as split Martingale and cancellation is a type of progressive gambling which means the player has a goal of a fixed amount of cash they want to win by losing less than half of the bets during the game. This method is a bit difficult as you will have to decide how much you wish to win and then divide this amount into units that add up to the amount you want to win. Once you do this, you will need the first bet to be the first and last number in the divided amount. The idea is to cross off each number in the divided numbers and win more than you lost by the time you have used all the numbers. The D’Alembert method is one that very easy to understand created by mathematician Jean le Rond D’Alembert. The idea behind this method is that if you win a bet, the next bet you will lose, therefore you will want to bet less on the next bet after a win. The next bet after a loss, the chances of winning are greater so you bet more on that bet. Of course, this is still a gamble because you are not going to win every other spin of the wheel or lose every other spin. The best part about playing roulette is that you can devise your own strategies and maybe hit more often than using any other method. Just learn how the game is played and pay attention to the numbers and colours that won and your chances will be greater of choosing the winning combination. An example, if you notice that the ball has hit on the number 33 more times or that it has landed on black several times in a row, you know red must be hit soon or that 33 is not going to be the number all the time.